Hola!! 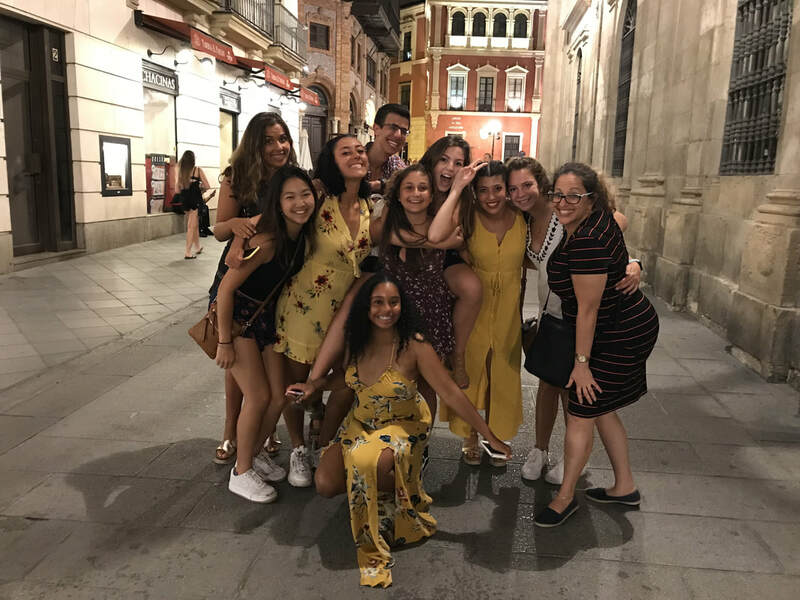 As the Program Director, I am very excited to welcome all of you to our Cadiz Blog for this summer! 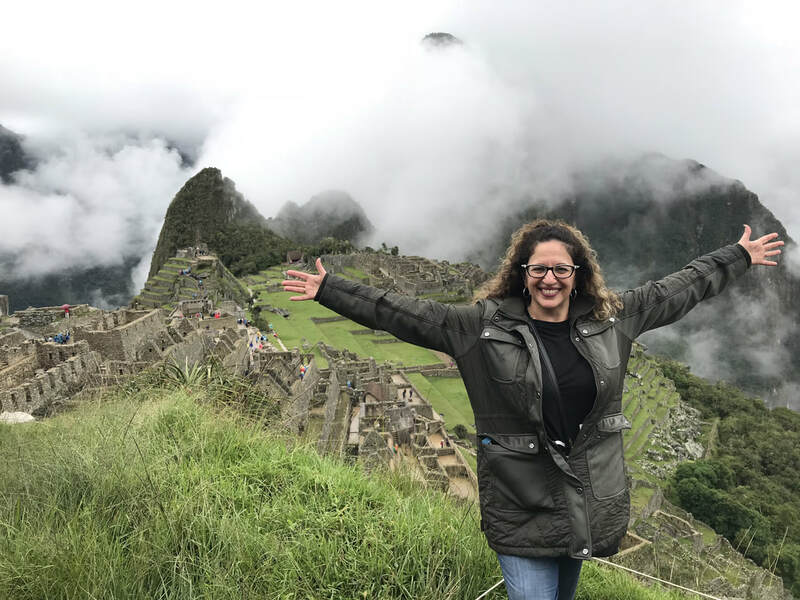 As you can see in my picture, I was amazed by the beauty and the history of one of my favorite places in the world: Machu Picchu, Peru, where I spent 10 days with 15 students last March. As you could read in my email last week, I have more than 30 years of experience teaching middle and high school students. I am from Argentina and I moved with my family to USA, back in 2001. I have a teaching degree from my country, a BA in Spanish and an MA in Linguistics, both from FAU, in Boca Raton, FL. Last year I became the World Languages Department Chair at my school, in South Florida. I am really looking forward to this experience we are all about to start. I am a firm believer of the enrichment one can gain through traveling. There is no classroom good enough for that type of learning. Please, check this Blog as I will update it often. You will be able to see pictures, and follow our stories. Wanted to share a picture from my birthday dinner and the kids saying goodbye to their families. I can’t believe I am writing the last post of the Blog!!! 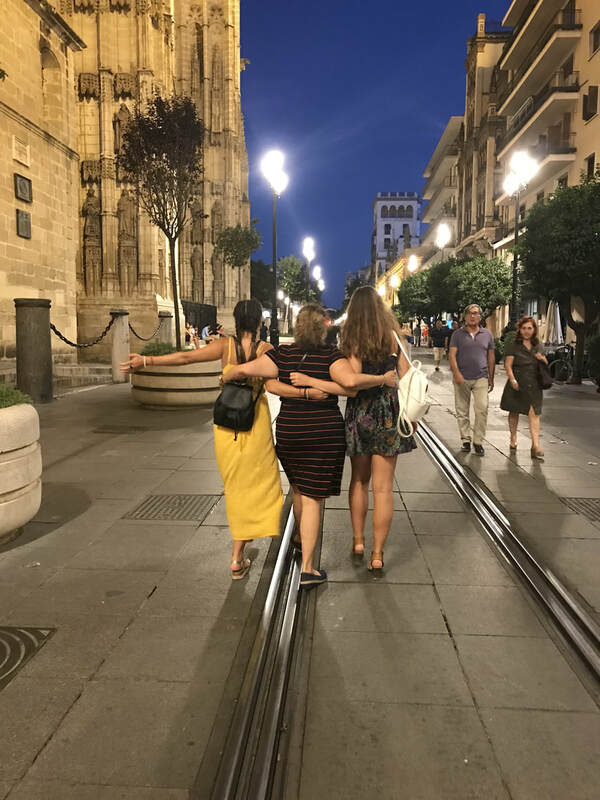 We had a very rough last week, but we all managed to enjoy each others company the last days of Cadiz (Learn more about the program here.) and of course, while touring Cordoba and Sevilla, two amazingly beautiful cities. As you know on Wednesday we went to a beach where the kids practice kayaking and paddle surf. It was super fun!! Dinner was at a very fancy restaurant where the kids sang for me “Happy Birthday” and gave me a beautiful paint of the Mercado de Las Flores. They made my birthday a very special one. Thursday morning we left to Cordoba. The hotel was super nice, and they got to enjoy some quiet time at the pool. 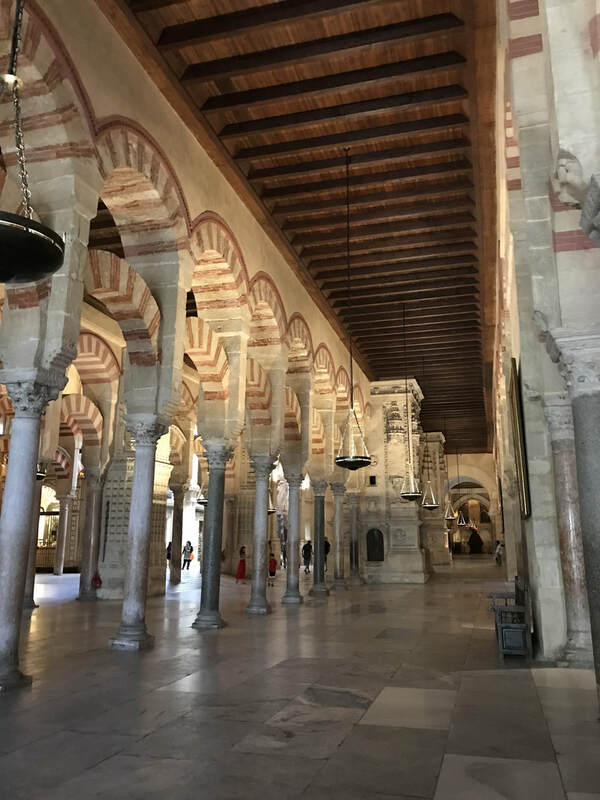 We visited the Mezquita-Catedral, and incredible building that endured many changes throughout its history. From the Romans, the Visigodos, the Moors to the Catholic Church. After that we went to the Jewish Quarter, where we saw the old Jewish neighborhood and learned about their life before the Inquisición. 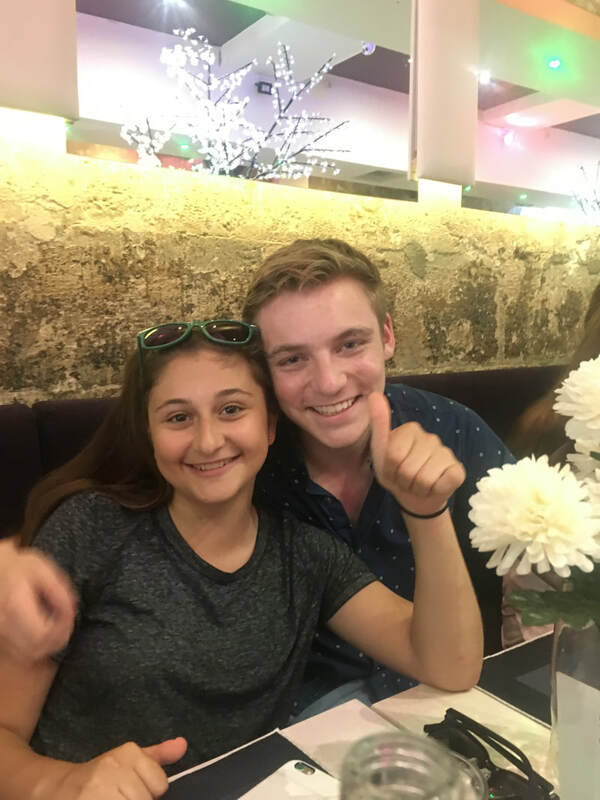 We had a nice dinner, and of course….ice cream!! On Friday morning after a very good breakfast at the hotel, we went on our way to Sevilla. 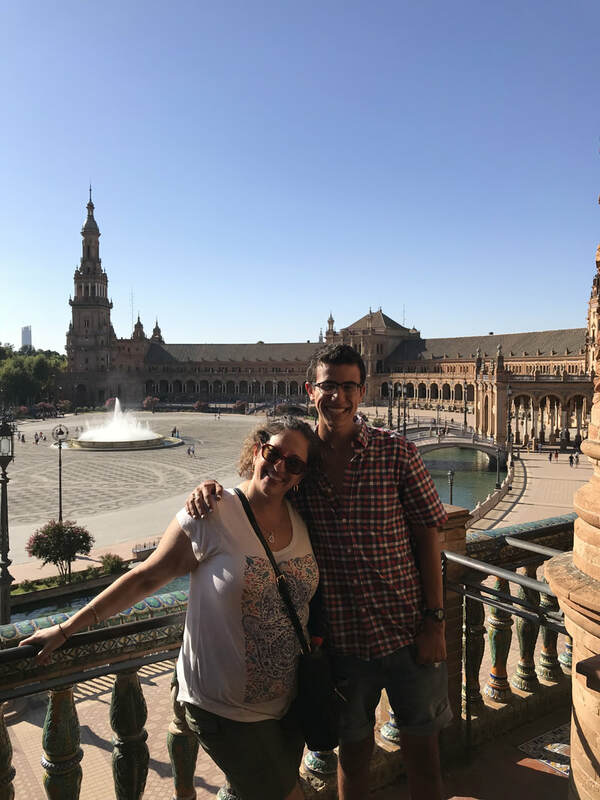 Here we walked around the historic area where the Cathedral and the Reales Alcazar are located. We spent time walking around, but were very cautious as it is very hot. 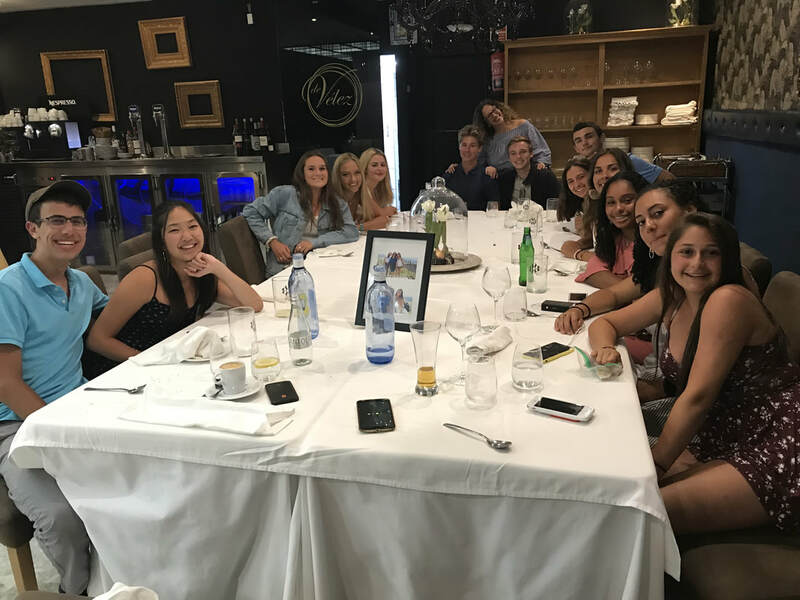 On Saturday we visited the Reales Alcazares, had lunch together and, finally, had dinner while watching a flamenco show! Then we walked to the Paseo de Trianna, as it’s one of the landmarks of this vibrant city. It was an emotional and full of mixed feelings, but Sunday morning we all said our goodbyes and off we all went our separate ways. I proudly have to say that Abbey Road provided to my staff, the kids and myself an experience that we will all cherish for the rest of our lives. The kids made our job so easy and fun, and I am honored by having had the opportunity to meet each and every one of them. 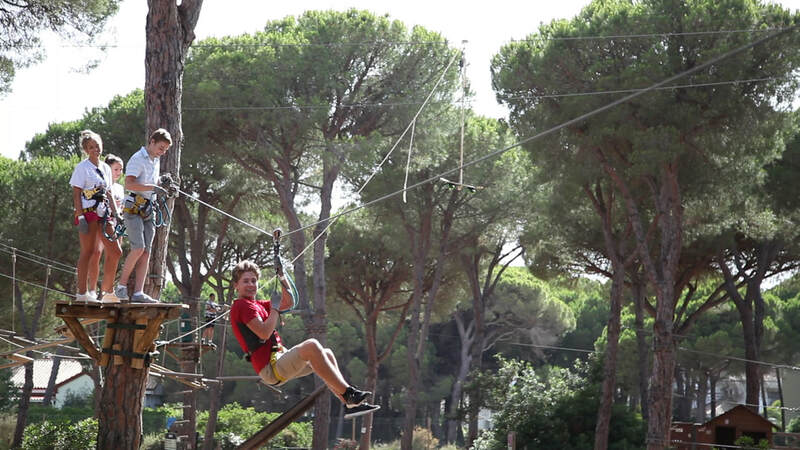 Going back right where I left….Thursday the group enjoyed some super fun activities at the adventure park in Roche. 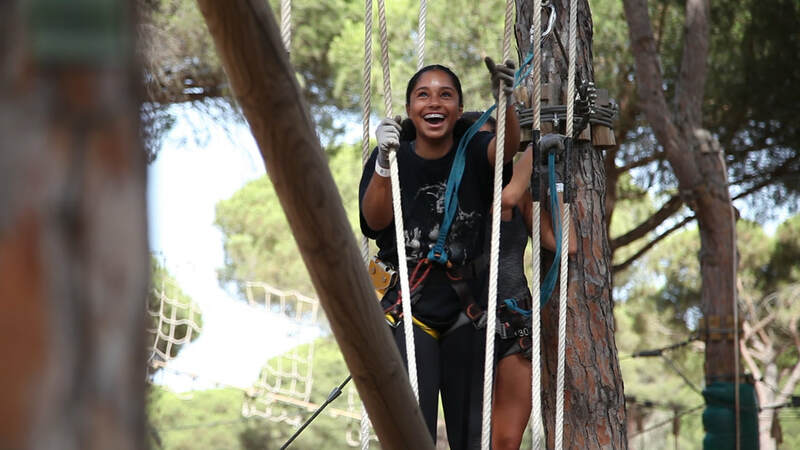 They were really pros at the different courses and even Emily and Belén got into it as well. 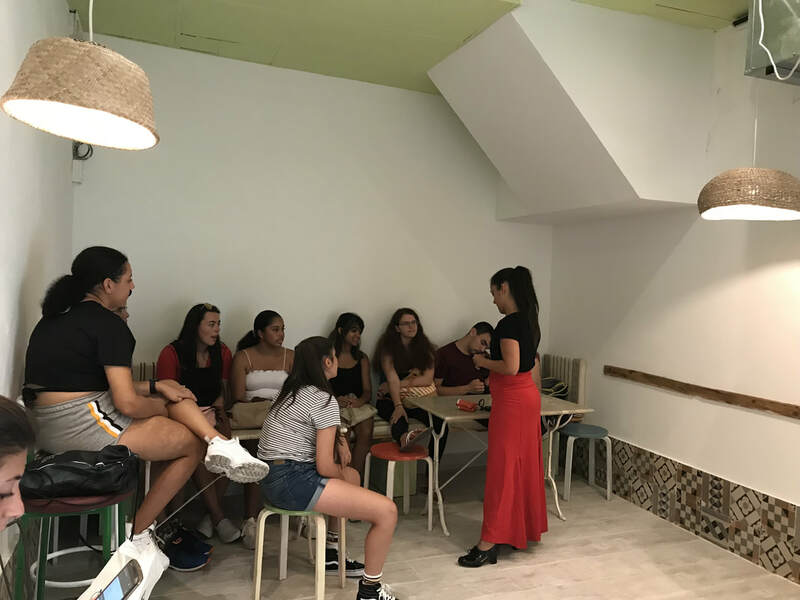 Friday was a much relaxed day, with our usual classes and some free time to get some shopping done and to get ice cream….yes, they loooooove Spain’s very creamy ice cream, and quite frankly, it’s impossible no to. 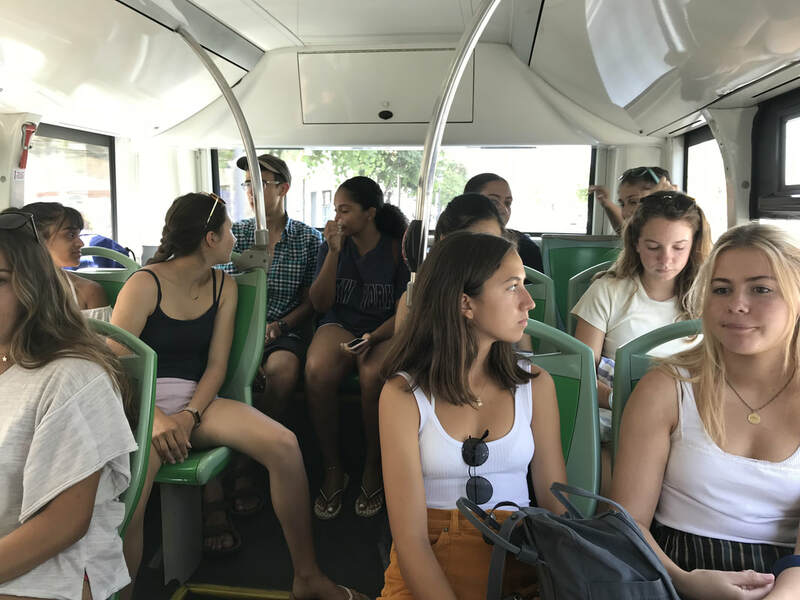 Saturday was a busy day, as we went to Tarifa. 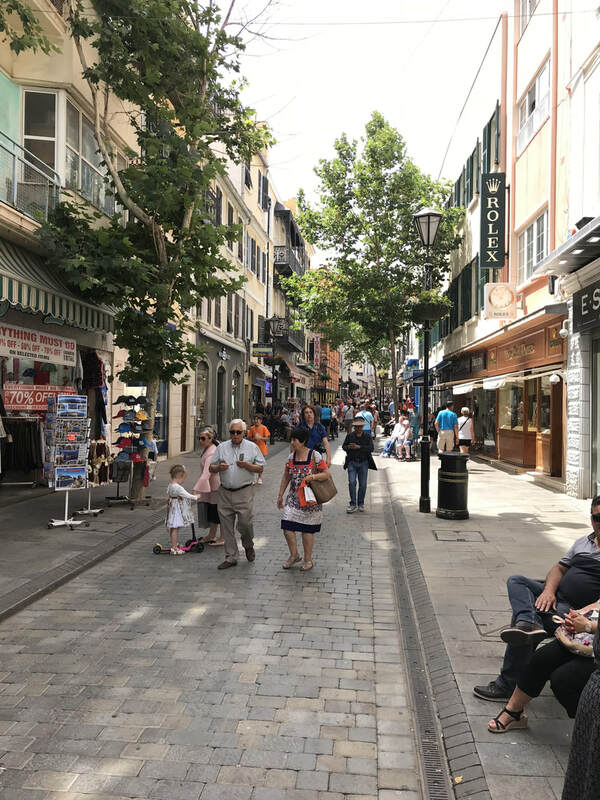 This old city port, recovered from Arab’s hands in 1292, is located at the shores of the Gibraltar Stretch, it's small but full of history and life. We got into a boat, and we went to see whales and dolphins. 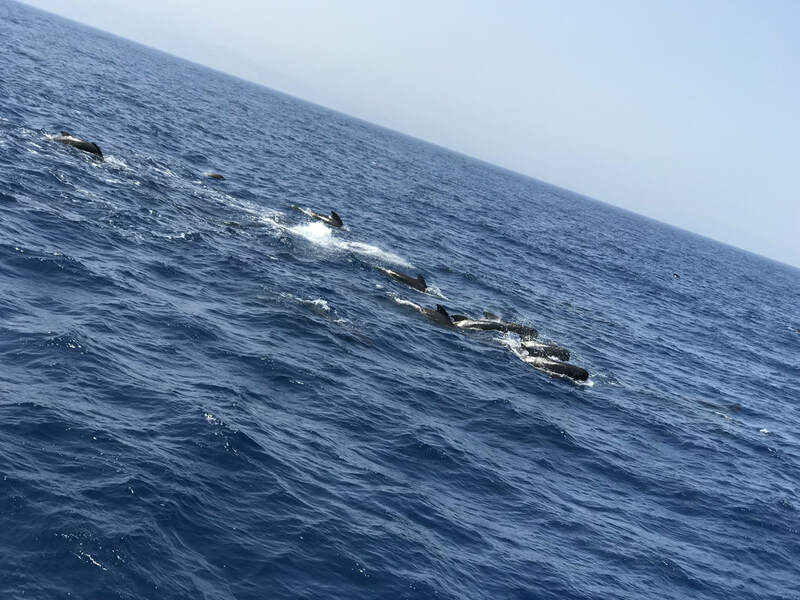 We were lucky enough to see different species of dolphins. 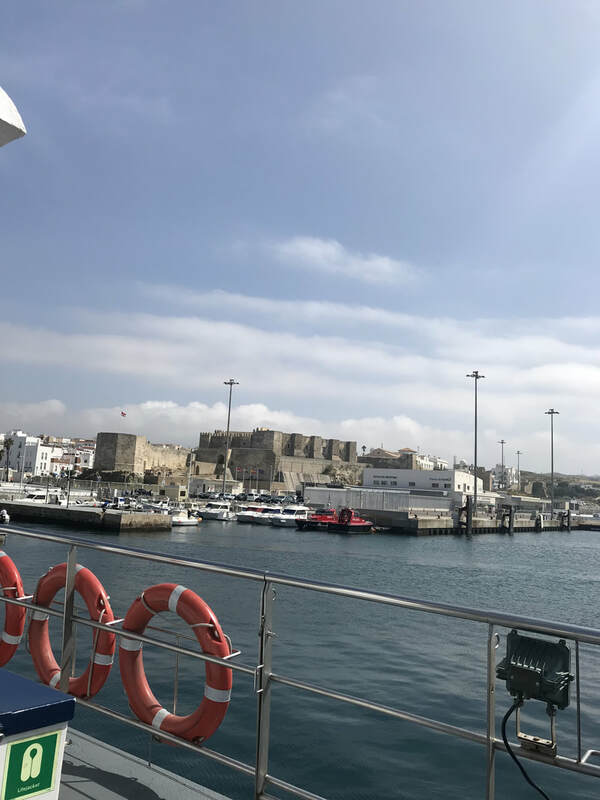 From the boat we could see the Gibraltar Rock, Morocco and of course, Tarifa. The Mediterranean Sea and the Atlantic Ocean mix up at that area, and the color of the water was so unique, that it's hard to describe. 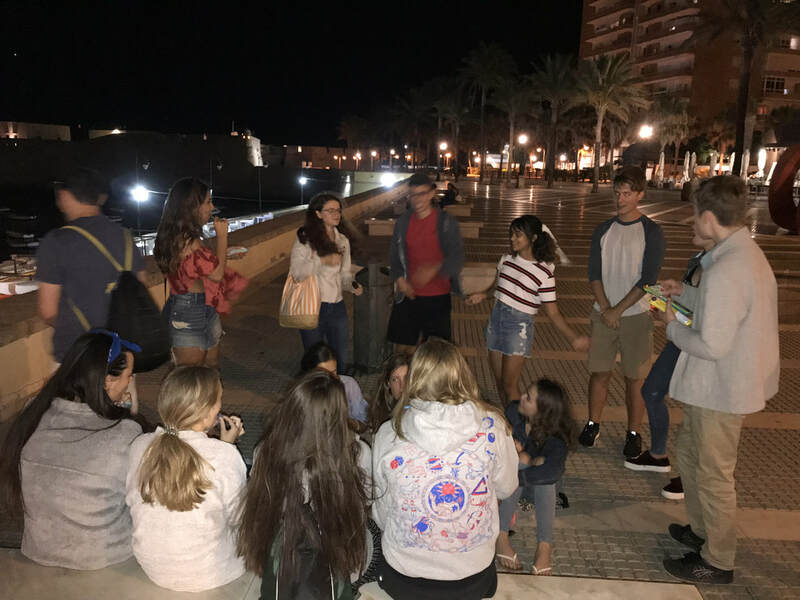 At night we had our first disappointment, but this group of kids is so great, that made this situation into a very positive one. 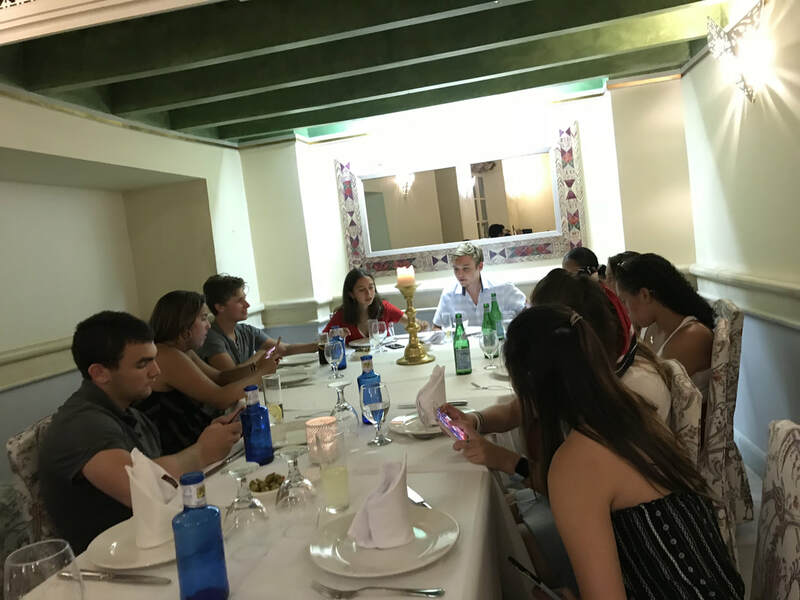 We were supposed to have dinner while enjoying a flamenco show….but the restaurant “La Cava”, did not honor our confirmed reservation...so at 9:30PM we had to look for a place with enough room for 19 people. 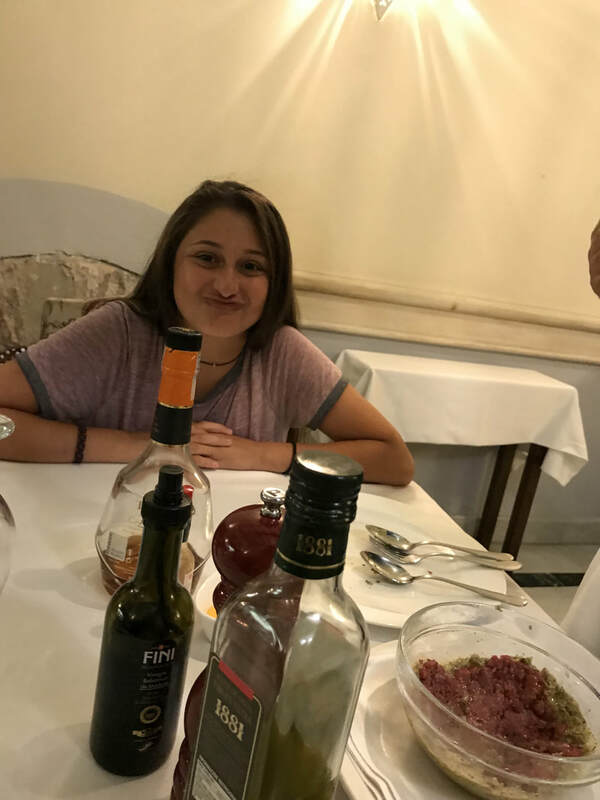 The kids immediately suggested to go again to Usodimare, the Italian eatery we went twice before, we called and they prepared “our spot” where we enjoyed a nice night, despite the circumstances. It was really bittersweet, as we said goodbye to two of our participants, who headed home the next day. 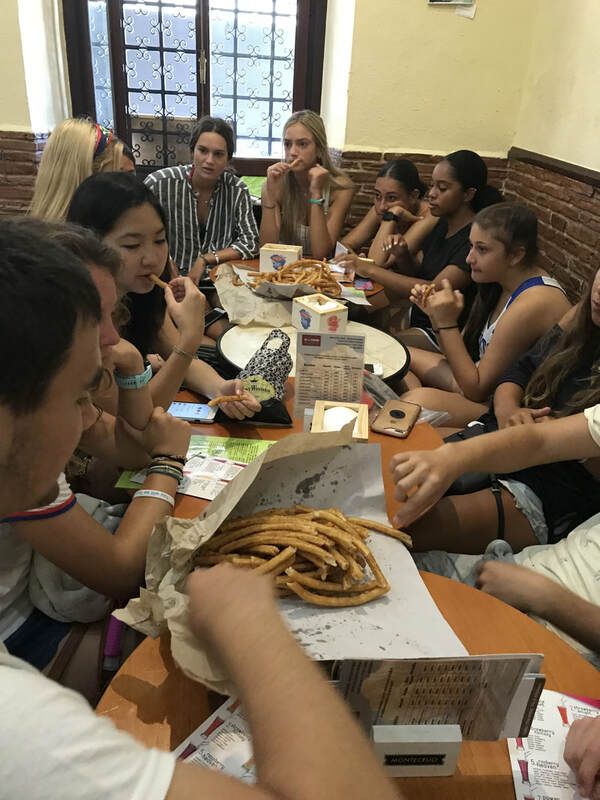 Sunday, we had churros con chocolate again, as we wanted to enjoy the experience again with the students who arrived last week. We concluded that these churros were much better than the ones we got before...which we thought it was impossible! Then the kids had free time to enjoy beach time and ice cream...of course! 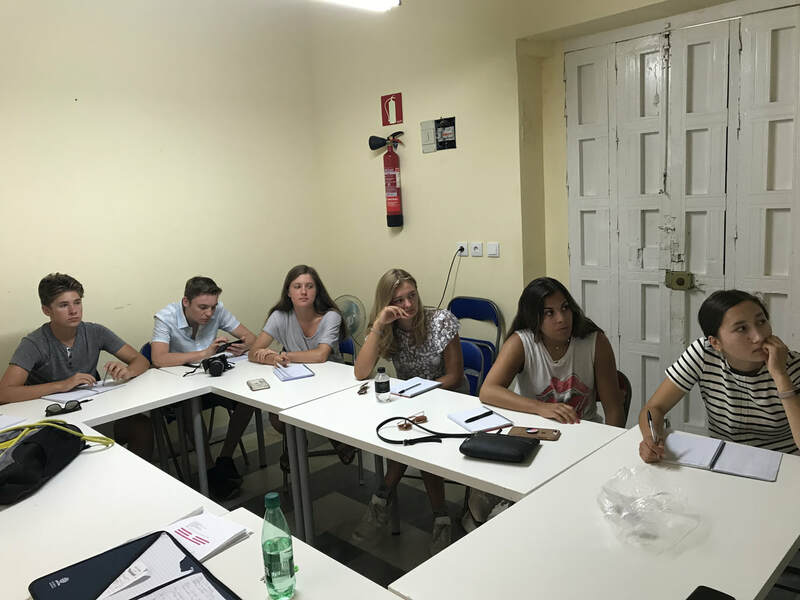 Today regular classes- learning the Subjunctive (number 1 enemy of English speakers learning Spanish…)and some idiomatic expressions that use animals and colors, with their amazing teachers: Emily and Ana Maria. They make it fun, easy and authentic! In the afternoon, they are going to the beach to have fun with paddle surf and kayaking! This is an all times favorite of Abbey Road participants! Pictures on this one….on my next blog. Third Week on its way! Again, sorry for not updating my blog sooner...but the WiFi here is not as easy to find as it in the states…but we manage! The weekend was very energetic. We visited Ronda, a beautiful old city which is actually part of the Malaga Province. The views were breathtaking...and we learned a lot with Martha, our local tour guide who shared her knowledge on the different monuments around the city. One interesting fact to share is that Ronda has the first “Plaza de Toros” of the country. It sits 5000 people and the diameter of the court is 66 meters. 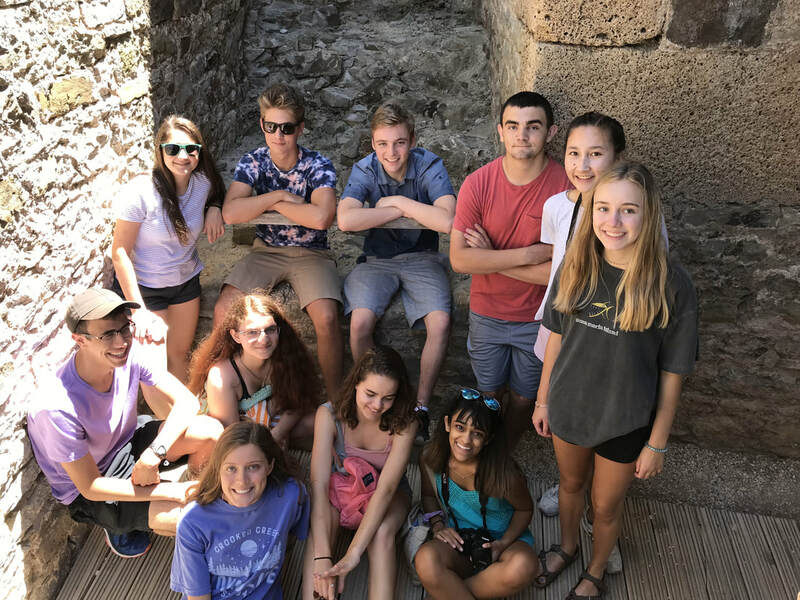 We entered the “Baños Arabes” of the city, where we learned how the Arabs back then greeted their visitors. 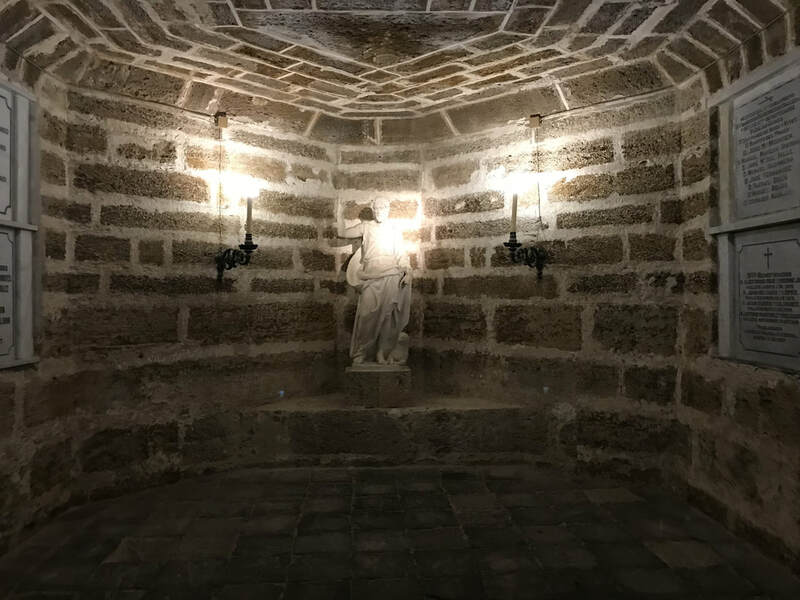 Since the “Baños Arabes” were located conveniently at one of the entrances of the city, people had the opportunity to take a bath- from cold, to super steamy- to clean themselves. At night we went back to one of the restaurants the kids loved- Uso Di Mare- where we had dinner with the group that was leaving the next day. Saying goodbye wasn’t easy for anyone. We were all very moved by the fact of how tight this group became in such a short time. On Monday we welcomed the new group of girls. 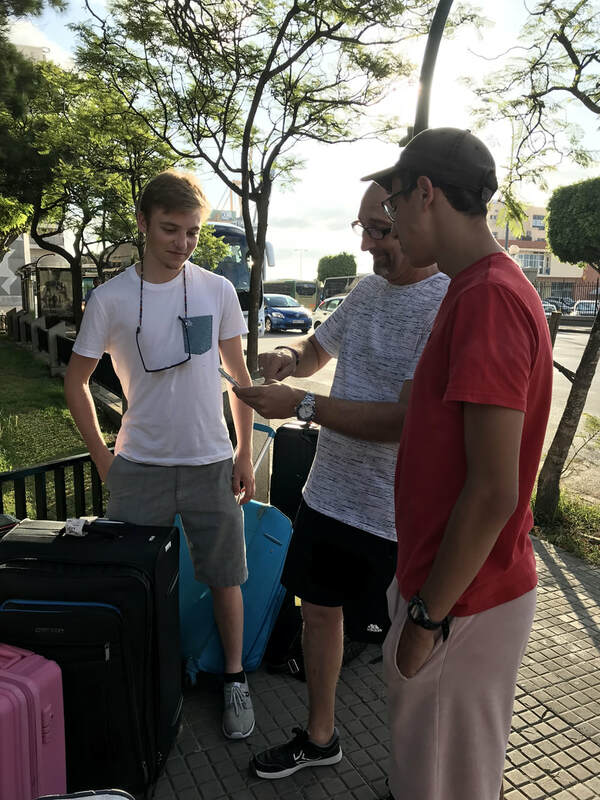 They arrived on time, tired but smiling. When they got home all were welcomed by their host families and some even by the group of kids. On Tuesday we had placement test for the new students, and then quickly we got into classes. In the afternoon they got to enjoy surf lessons, where they really were pros! On Wednesday we went to the movies! We watched a Spanish movie “El mejor verano de mi vida”, a family comedy. It was very good to see many of them laughing at the jokes and really enjoying the movie in Spanish language. For some was a challenge...but none fell asleep!! Today we have an afternoon at the park in Roche, a small city 45 minutes away from Cadiz. They will get to enjoy zip lining, climbing and just having fun being around each other...as you know the drill...pictures on this activity later! 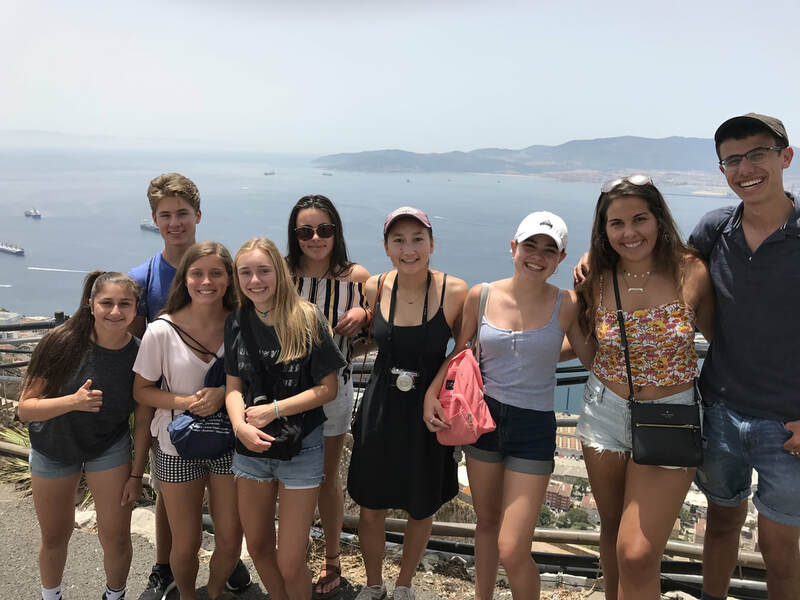 By now, I say “adios”...I am not sure if you have a clear idea of how much my team and I are enjoying this adventure with your kids….it is truly a summer we will never forget! ¡A bailar y a comer! 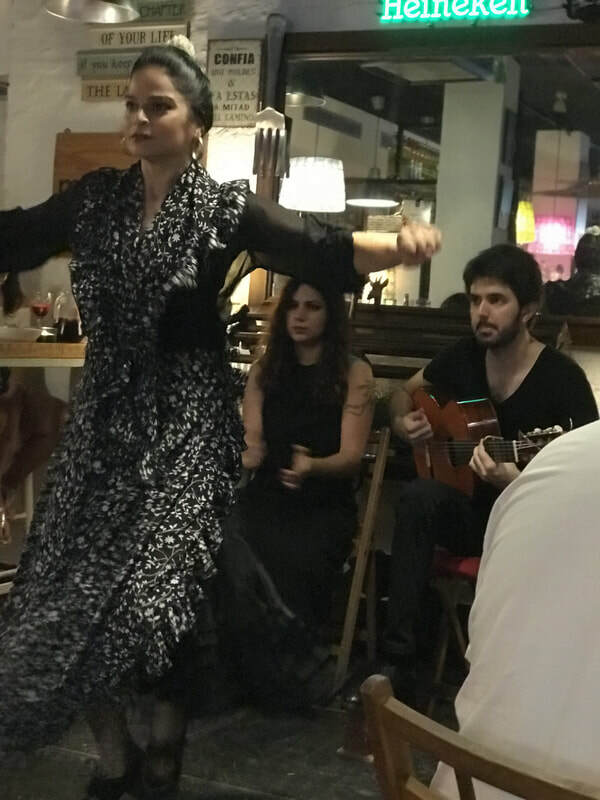 We really had two of the most Spanish experiences one can have in Andalucia...flamenco lessons and paella! 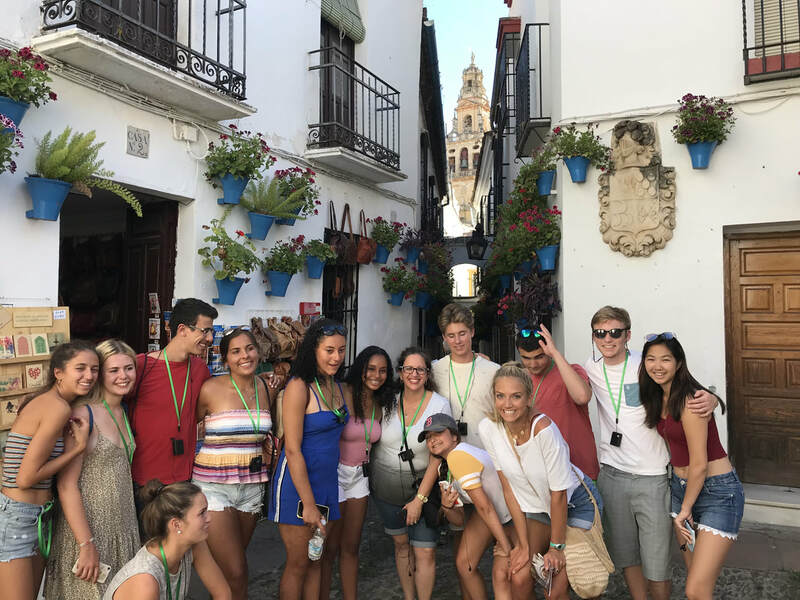 On Monday July 9th we toured the old Cadiz Cathedral. It is an impressive building full of history. Some of its ornaments are from the XIII century. We saw very touching images of Jesus and incredible silver artifacts. 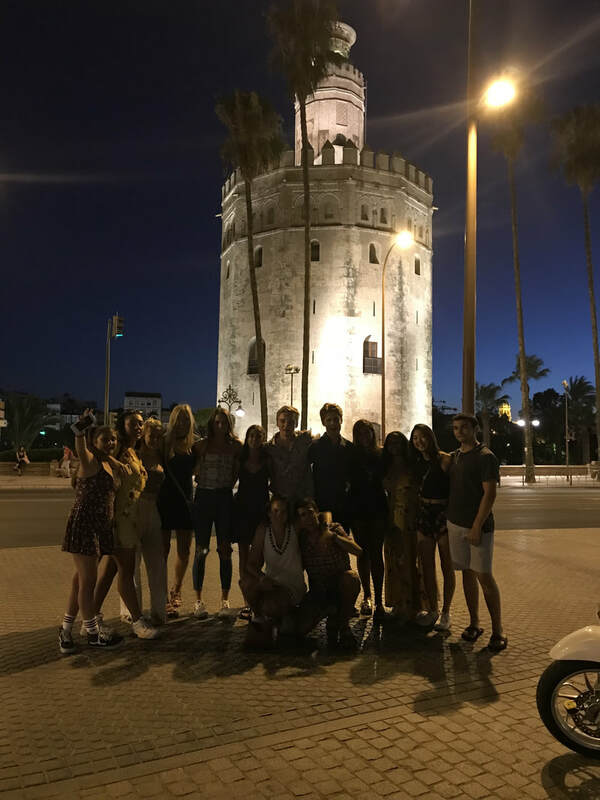 We also got to go up into the “La Torre del Reloj” from where we had breathtaking views of this unbelievable city of Cadiz. 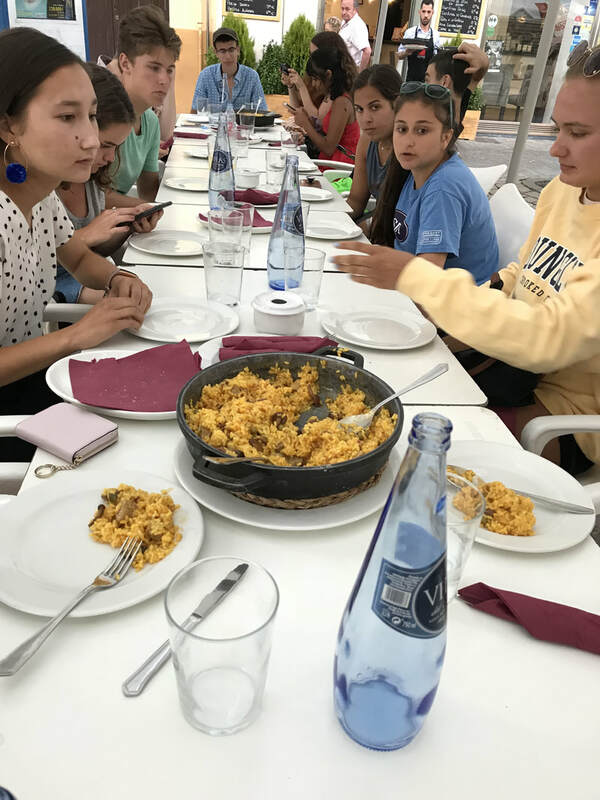 After that we got to enjoy paella. 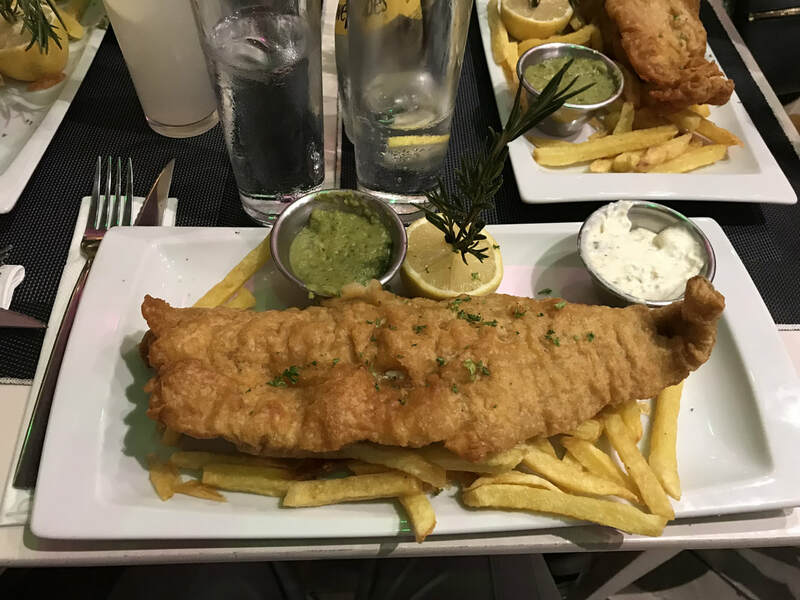 As you know this typical dish is made out of rice and vegetables combined with seafood, or chicken or red meat or all mixed up. Kids then went for ice cream- that in here is really something else- before going back home to rest. On Wednesday July 11th, we had a very relaxing day. Classes as usual morning and evening, and at lunchtime the kids wanted to go to the beach, but it was very windy, so they had lunch together and did some shopping. This was an activity planned by them as a way to start saying goodbye to the girls who are leaving this coming Sunday. At night they just enjoyed family time at home. 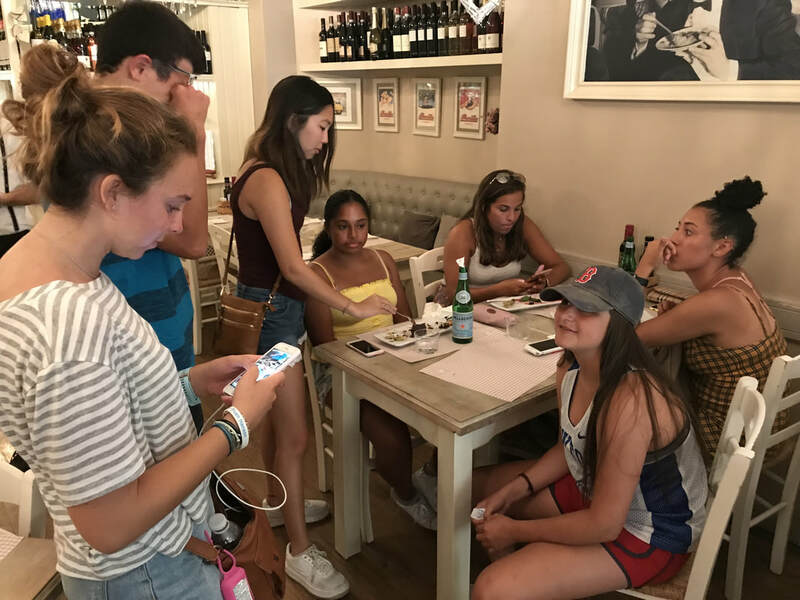 On Tuesday July 10th and Thursday July 12th, we had our regular classes in the morning and then lunch at home. In the afternoon we got the kids into two groups. 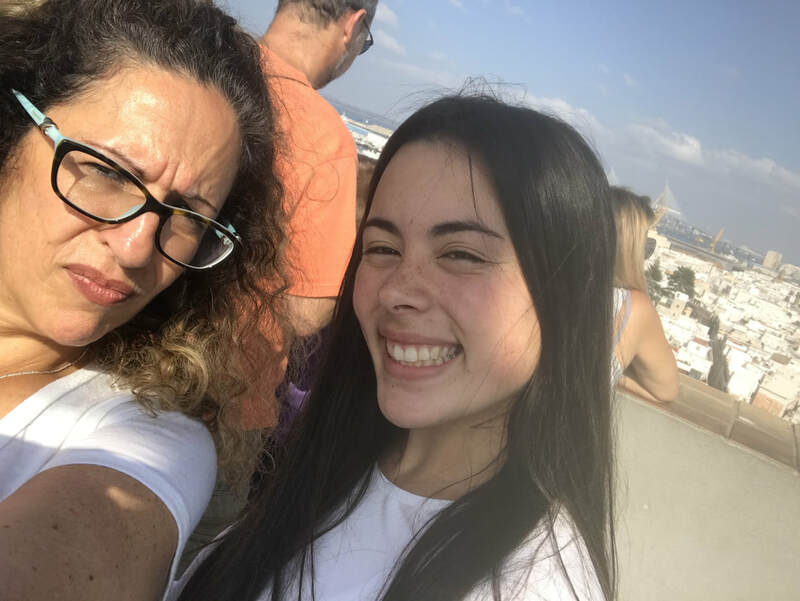 One went to the flamenco lessons and the other to tour the “Torre Tavira”, and then we switched on Thursday. The flamenco lesson was excellent. The teacher shared with the kids the history of this famous dance, and then taught them a coreography...the kids were natural at it! The Torre Tavira is one of the many watchtowers of this city. This one has an espectacular 360 views and on top of that, it has a “Cámara Oscura”. 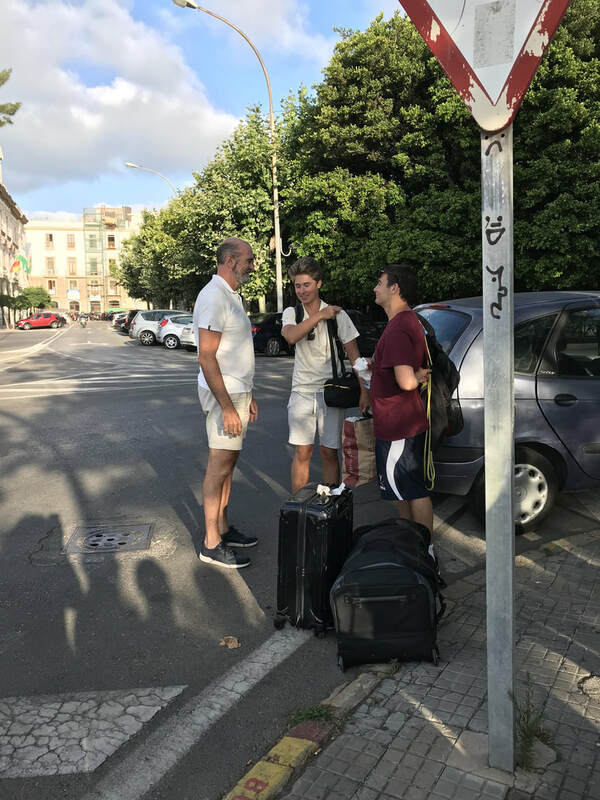 I am sharing the link here, so you all can get a better idea of this incredible experience the kids had. Today, we are planning a day with some free time, classes and a visit to a “Teteria”. Due to the Arabic influence in Spain’s traditions, the tea shops are very unique. Pictures on this one later! 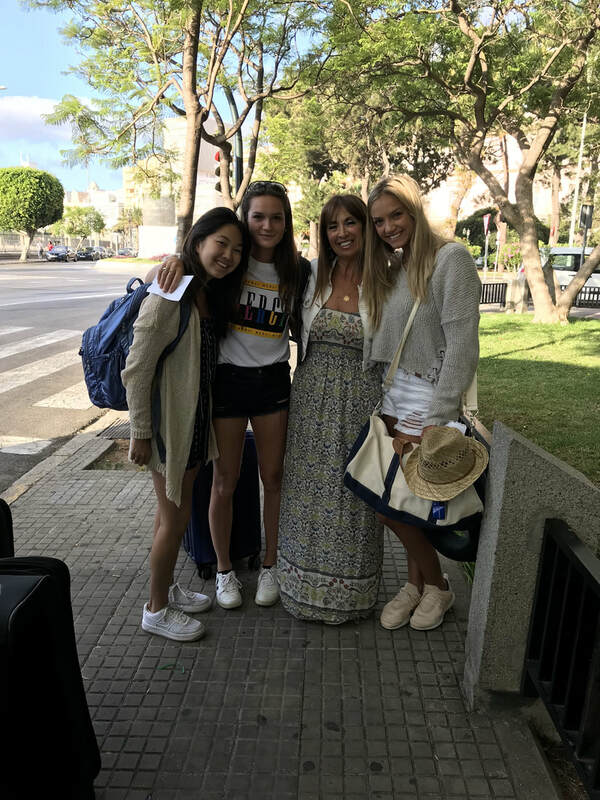 By now I say goodbye, this weekend is going to be very special, as we say “adios” to some of our girls, but say “hola” to a new group of students. What a wonderful first weekend here at the Abbey Road Program! On Friday we had classes in the morning. Students reviewed some structures and went over vocabulary. Level 2 then took it to the streets but Level 1 preferred to stay in the classroom and clarify a lot of doubts. Very impressive to see all the students engaged in their classes! 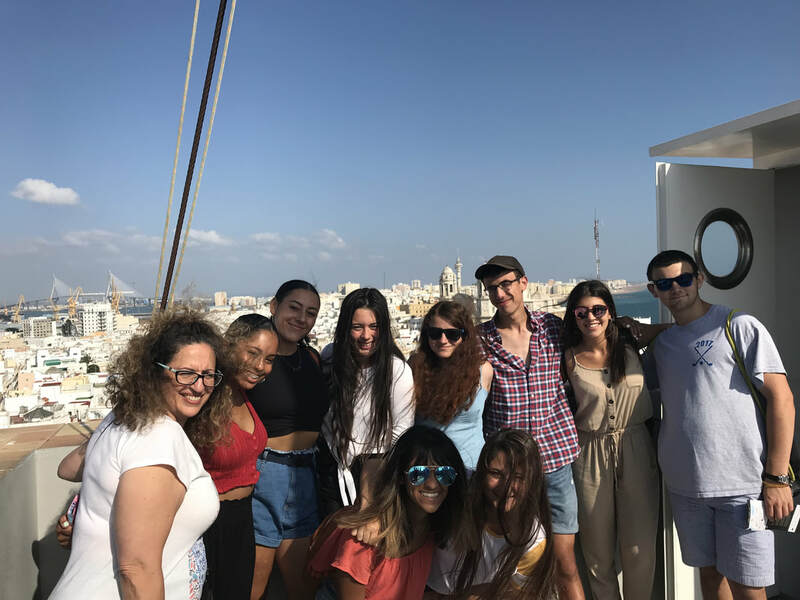 In the afternoon we took a City Tour and got more familiar with this beautiful city of Cadiz, with Javier, our photography teacher who is a Cadiz native. 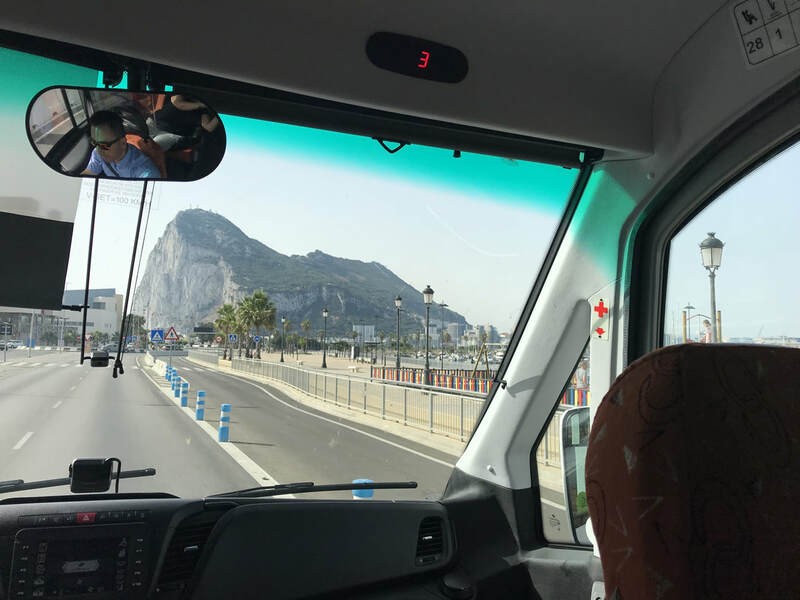 On Saturday we went to Gibraltar. 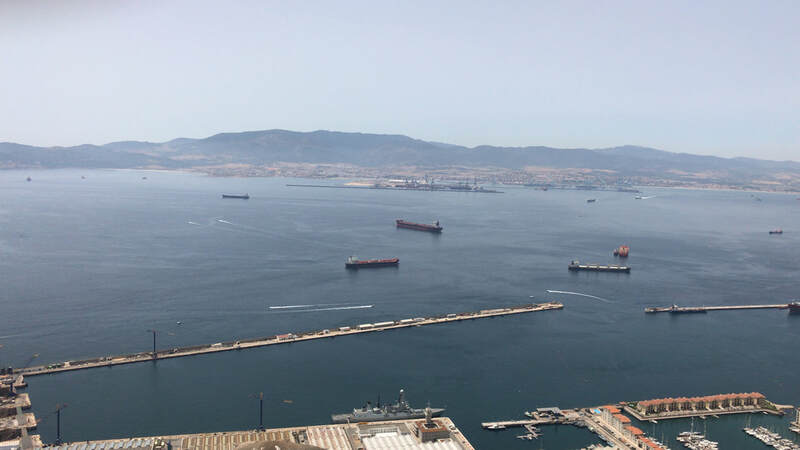 There we got to see the amazing views from The Rock, known as “Peñon de Gibraltar” in Spanish. We went up in a cable car, and from there we saw Europe and Africa. We also had a very close up encounter with nature, as this area is known for being a natural habitat of monkeys called Barbary macaques. These monkeys are looking for food, therefore they take bags from people...and we had our adventure! 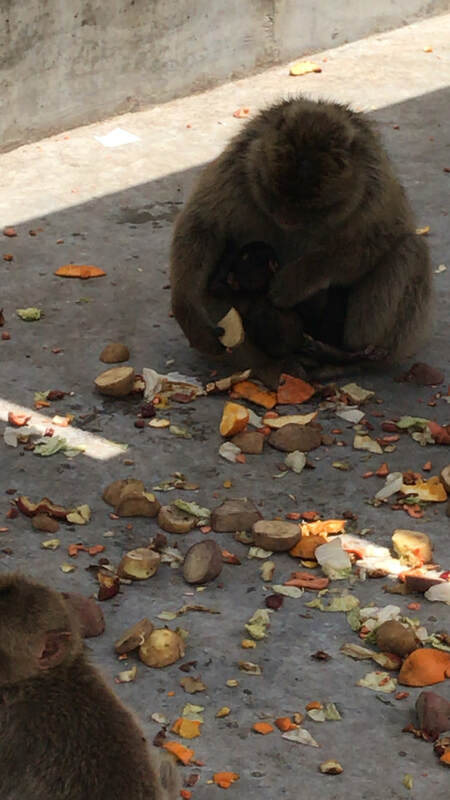 One of the girls left her bag on the ground and a monkey took it!! It was so scary!! In that bag we had some passports and phones! But, luckily we threw at the monkey some candy and he left the bag alone! We went down from the rock and strolled this British vibrant city, where we enjoyed “fish and ships”, and saw their people celebrating that England is through the next round on the World Cup in Russia. On Sunday we had a very needed relaxing day. We had “churros con chocolate” in the morning and then the kids got to enjoy some family time at the beach. 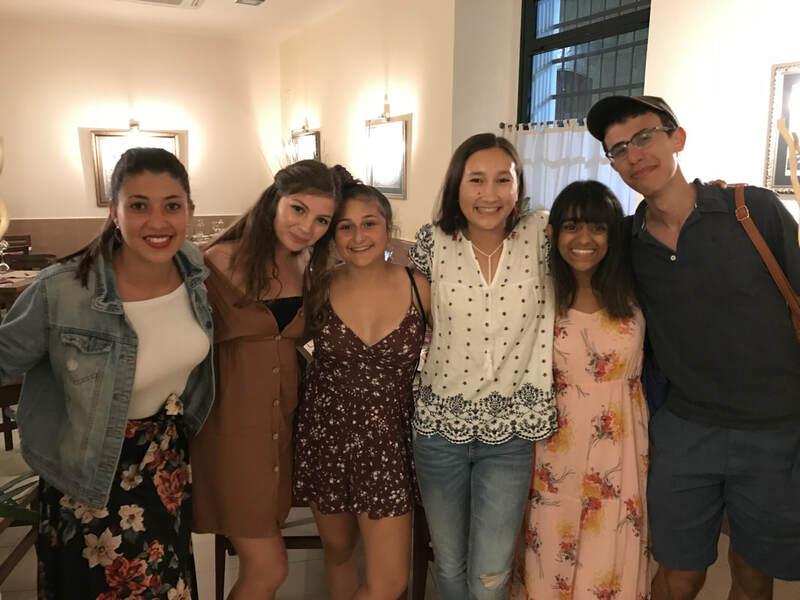 We also received two new members of our group, who got welcomed by their family and roommate. Today, back in school for the morning, and then electives in the afternoon. 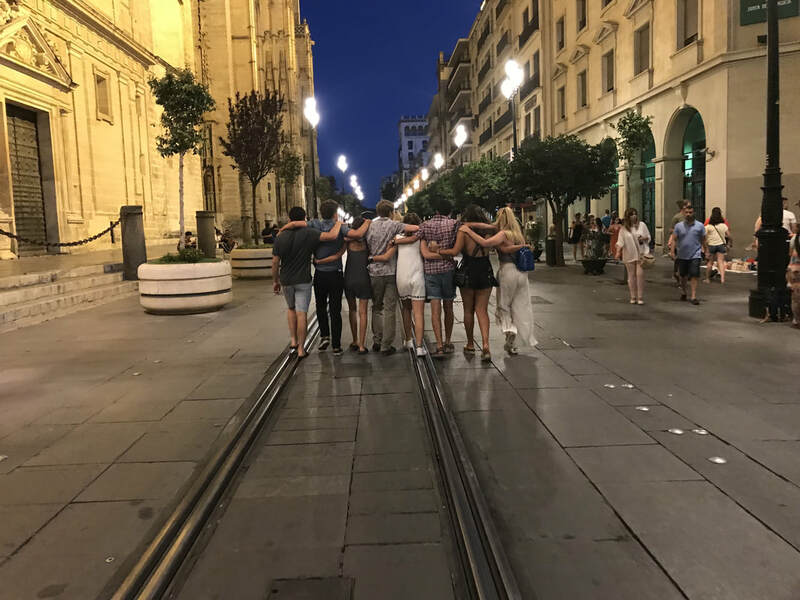 We will get dinner as a group after touring the incredible old cathedral. Please, enjoy some pictures and don’t get impatiente until my next blog! Hola!! 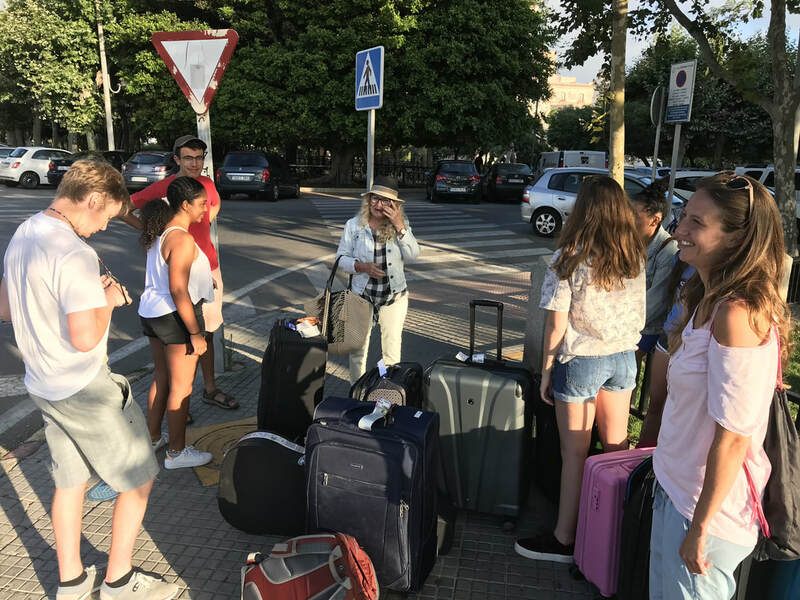 Apologies first: Wifi is not working properly for us, and I couldn't update the blog earlier, but we are just about to finish a great first week with the Abbey Road Program in Cadiz! The kids are enjoying every minute of it and we are too! 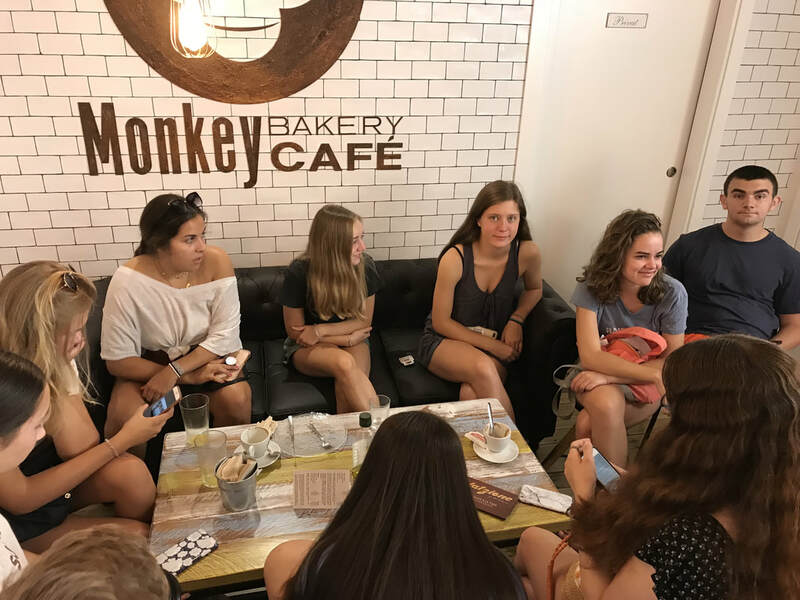 The first couple of days with orientation, getting money changed, new SIM cards, placement test, going around the city and getting to know each other went by very busy but exciting as well. On Wednesday, we celebrated the 4th of July, "Spanish Way". We went to an American Restaurant, "The Cabin", and got to enjoy burgers, fries and nachos. Then we went to the beach and we got some little surprise for the kids with a bag of American candy and sweets. On Thursday we visited the beautiful beach at the city of Bolonia. 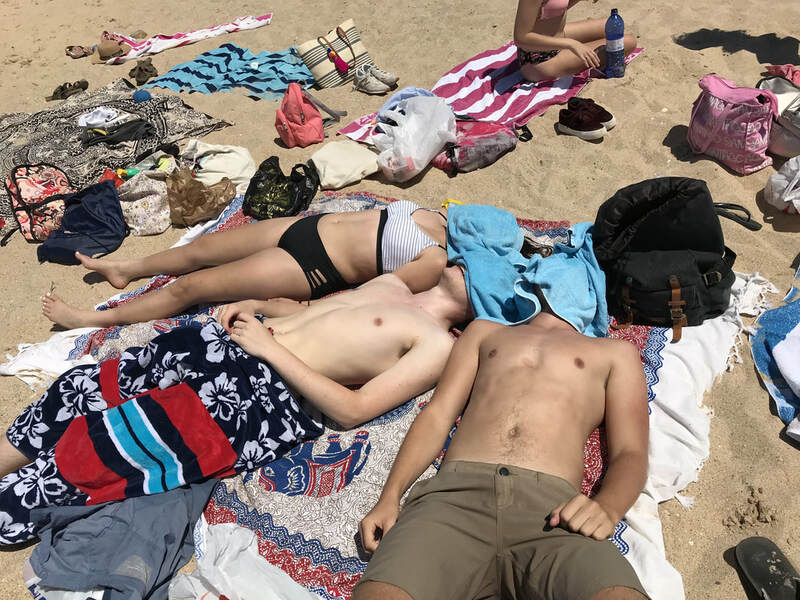 There we enjoy a great weather while sunbathing, going into the ocean, playing volleyball with a Canadian group of kids, chatting and just bonding even more as a group. Almost forgot! We walked around the old Roman city of Baelo Claudia. 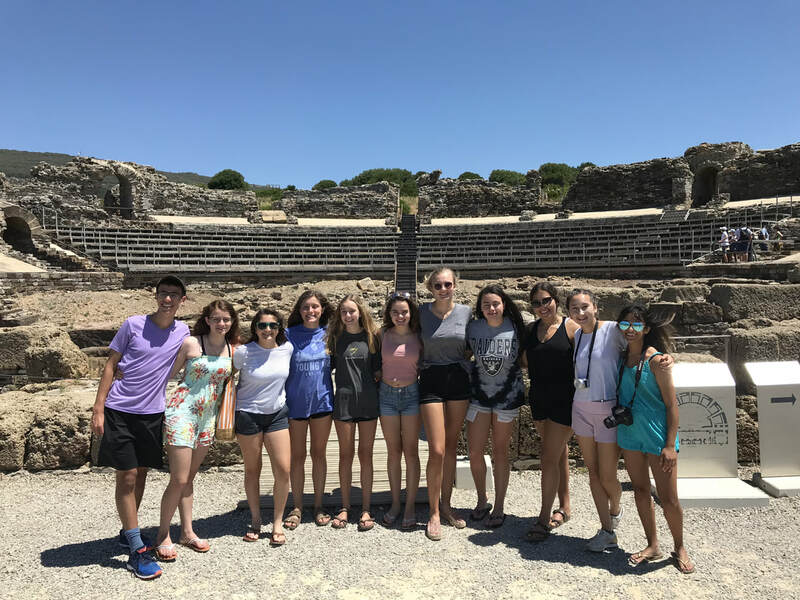 This archeological site, founded on the second century BC, has a very rich history, and we were amazed by it. 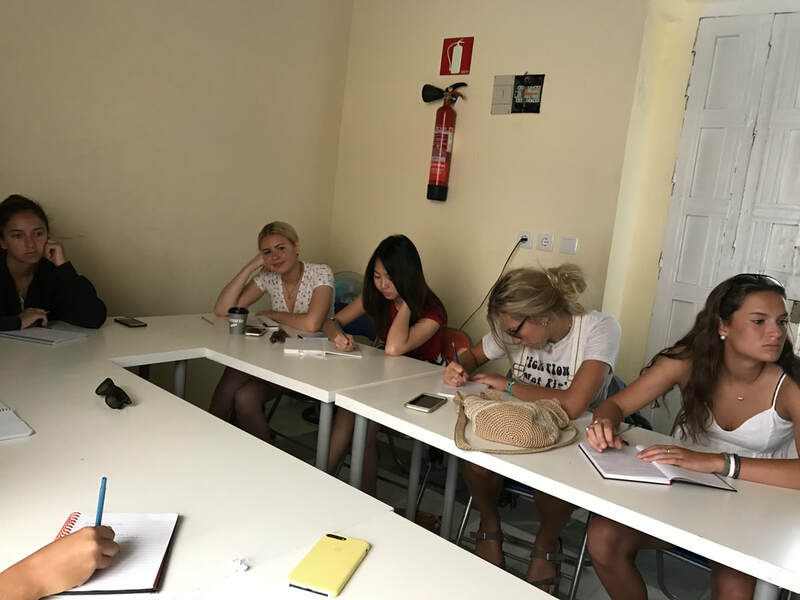 ​Today we are in school, taking classes with Emily and Ana Maria. Kids are reviewing a lot of topics that came out when using Spanish around the city. 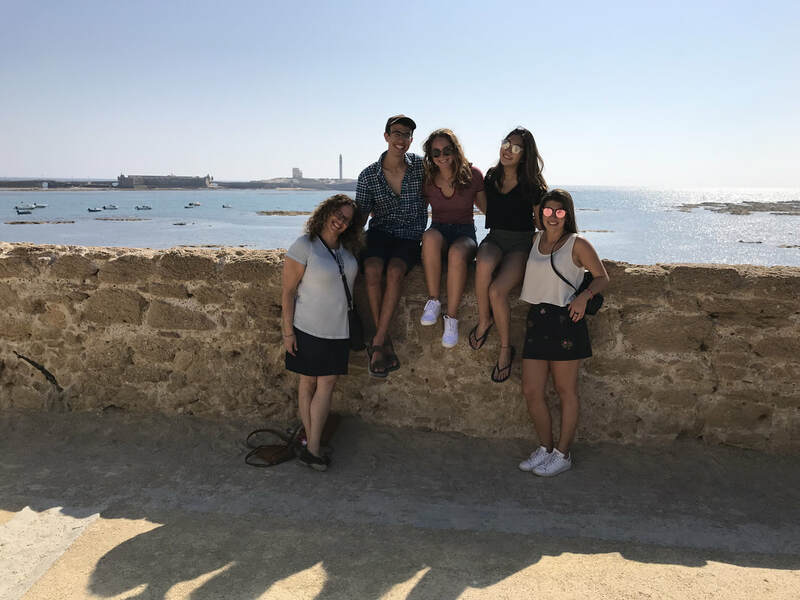 After lunch and nap at home we are taking a city tour to really see all the highlights of Cadiz and its super interesting history, being one of the older cities in Europe, that was occupied by Phoenicians, Romans, Greeks, Ottomans....So, you'll see these pictures in the coming days! To finish, I have to say, that personally, I am beyond grateful for being here with your children. This group is respectful, fun, inquisitive, and they get along like they know each other from before. Just a quick note before closing my post. I added my new phone number to our group. So, please, feel free to text me there at any time.